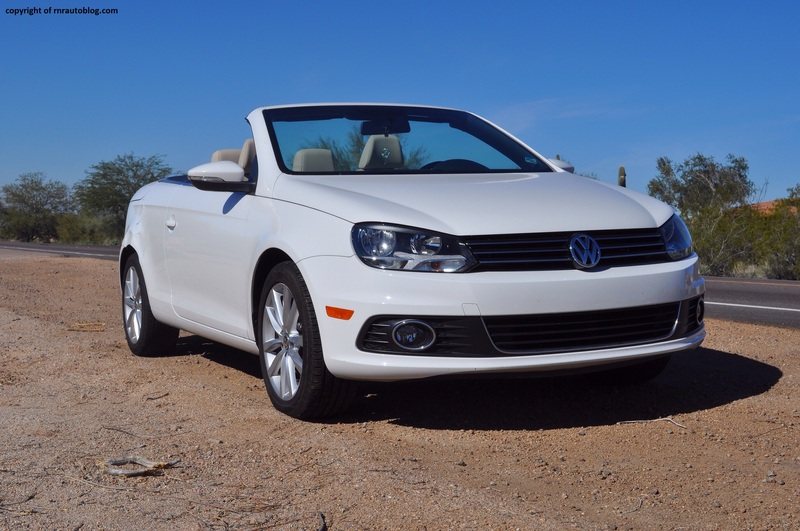 Volkswagen’s lineup has always included a convertible. It all began with the Beetle Convertible back in the 1960s. 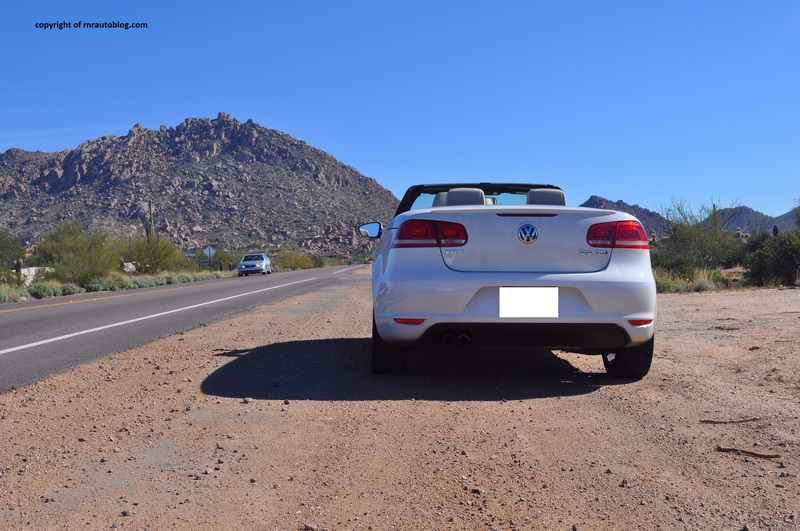 In the U.S, the Beetle ceased to exist in the late 1970s, and the Volkswagen Cabriolet (essentially a Golf convertible) was launched. Replacing the Cabriolet was the retro New Beetle Convertible. Then the New Beetle was discontinued as the Eos went on sale. 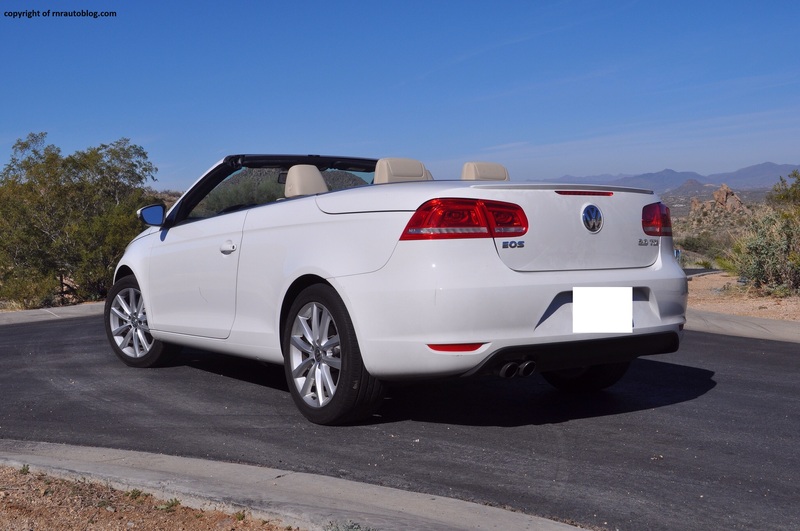 The Eos arrived in Volkswagen’s lineup in 2007. Its novel feature was its metal hardtop and a sunroof embedded in within. 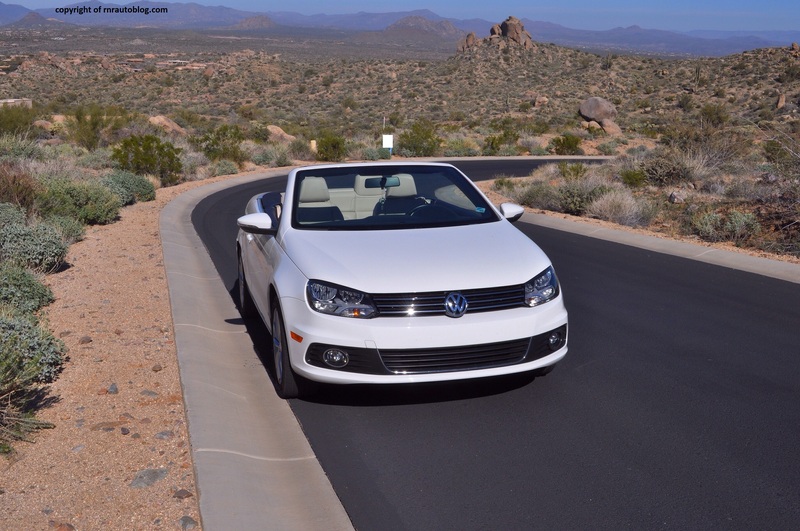 It also came with a turbocharged four cylinder engine carried over from the Golf GTI and Jetta GLI. The Eos was refreshed in 2012, with styling revisions that now put it in line with Volkswagen’s latest design language. 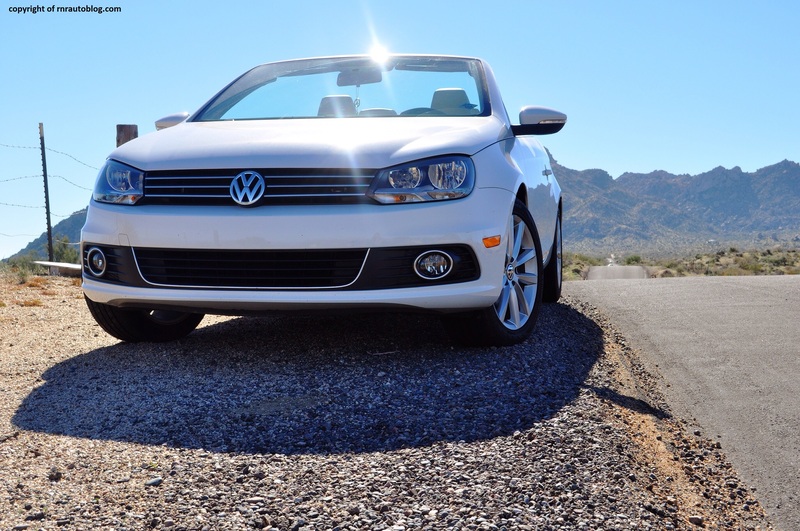 There is no denying the fact that the Eos looks unmistakably Volkswagen. The front fascia is carried over from the Golf hatchback. The use of chrome and highly detailed surfaces contribute to the front’s upmarket feel. 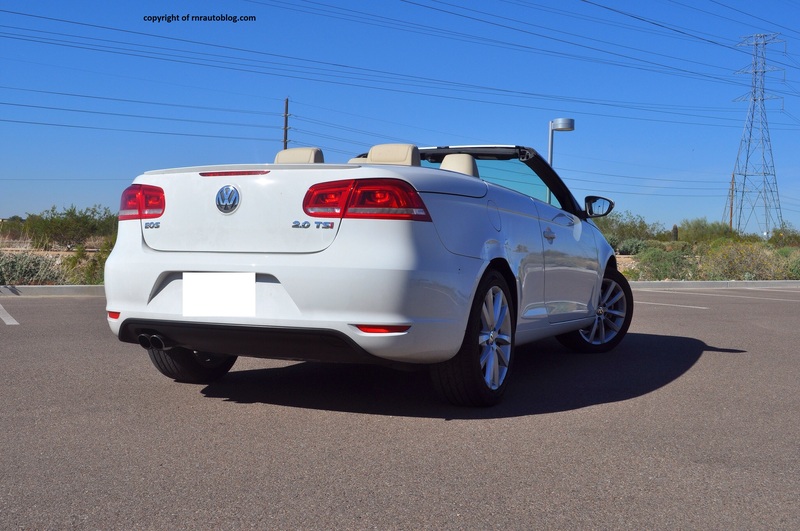 I usually do not like metal hardtop convertibles because I find that the side profile always looks choppy, especially towards the rear. But the Eos avoids this effect. It is clean and uncluttered. The rear is clean and simple, but yet somehow continues to lend that upmarket feel. 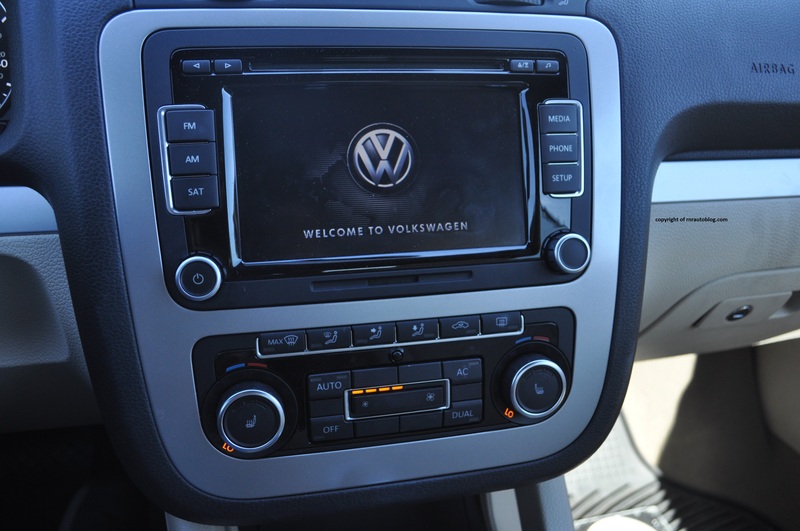 The interior design is typical VW which is no bad thing, as it looks appealing and inviting. The use of contrasting colors on the vents and controls liven up the interior. To drive, the Eos is agile and competent. The steering is quick and responsive albeit a little vague. It is very balanced as when you run out of line, all you need is a steering flick and the Eos will pull back into line. Body lean is well contained, and the Eos clings to corners well. 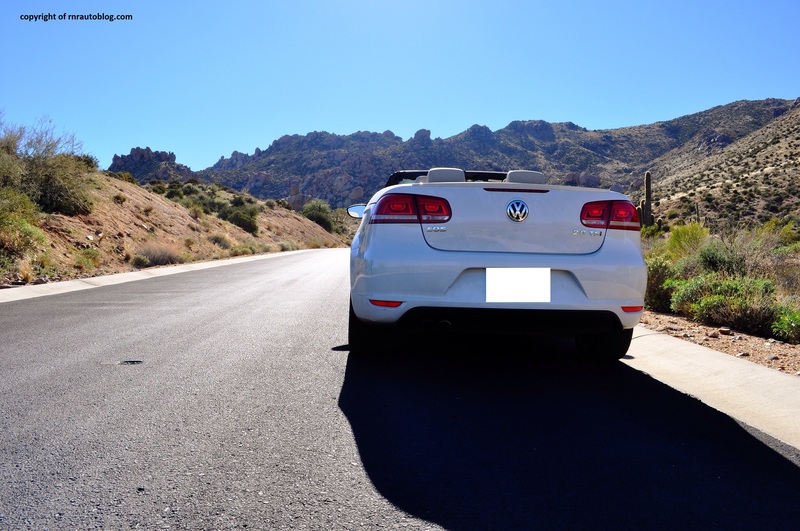 The ride quality is compliant over normal road surfaces. 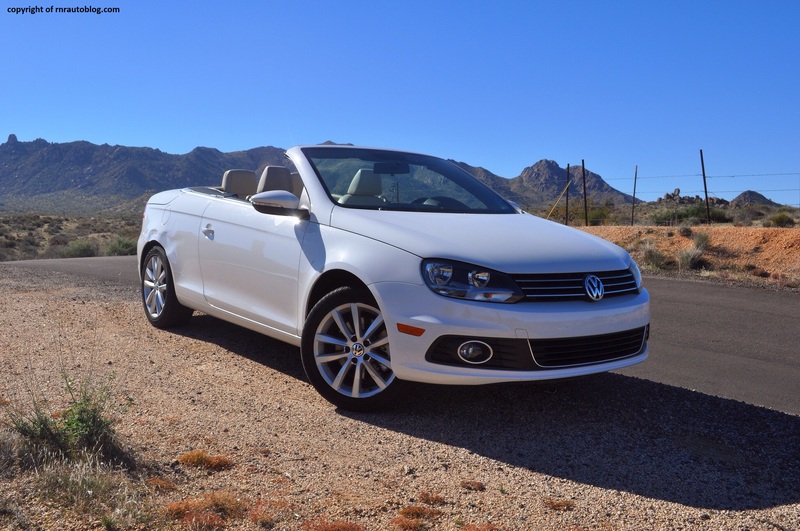 However, the Eos was not designed to be a convertible in the first place (it is based off the Golf). As a result, it becomes unsettled over anything other than smooth roads. This characteristic is more prominent with the top down. It becomes jittery as road imperfections permeate through the cabin, and the structure starts quivering. One thing I will say about this car is that the turbocharged four cylinder engine is way too much power for this car. Or it needs a more effective traction control. Torque steer is relentless. Depress the accelerator with medium effort, and you will still peel the tires. At a red light, I was next to a Ford F250, and look at me. Here I am, a male in a chick car with the top down. Embarrassing right? The light turned green, and I accidentally ended up peeling the tires, attracting attention from the angry looking man with numerous tattoos on his arm in the F250. Now that is embarrassing. But as soon as you get over the initial sharpness, the engine is divine. There is no turbo lag, and it is supremely smooth. Midrange power is impressive. The DSG (Direct Shift Gearbox) is an excellent automatic. I still yearn for a manual, but the automatic is smooth and quick. It can be jerky at low speeds though. Put it in S mode, and it actually gives you complete control, and it is very responsive. Refinement is excellent except for wind noise. With the roof up, there was a noticeable “whoosh” during the drive. Other than that, road and engine noises are refined. The engine is subdued but floor it, and there is a satisfying turbo whine. The cabin ambiance eludes a sense of luxury. 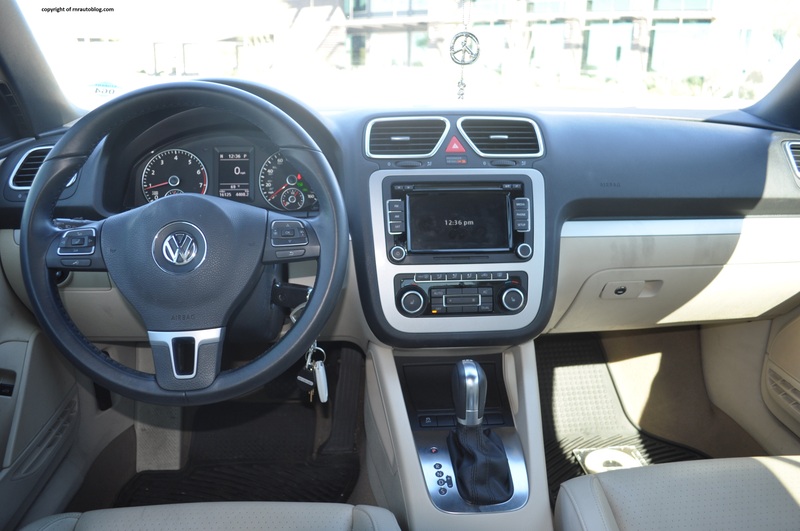 The cabin controls give off a sense of high quality, and they are mostly soft touch and tactile to the touch. The doors close with a satisfying thunk. The seats give excellent comfort. Even though this is the basic version, it does not feel like one. 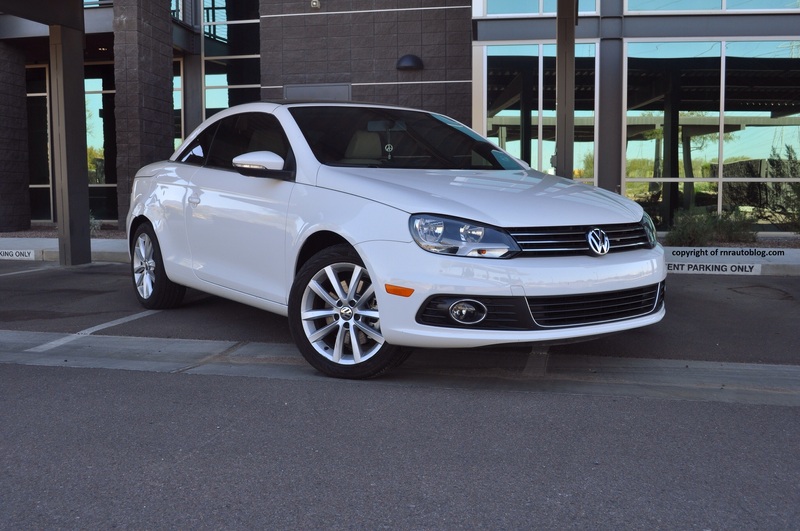 This comes with a touch screen control display, seat heaters, sunroof, and dual zone climate controls. Long story short, the Eos has incredible value, especially when you consider that the BMW 3 Series convertible does not even have these equipment as standard yet it costs thousands of dollars more. The sunroof is a nice touch. It is a shame that it does not retract fully. Visibility is decent with the top up. The trunk space is tolerable. Rear seat room is cramped, but it is not unusual for a compact convertible. Before driving this car, I actually did not expect much. 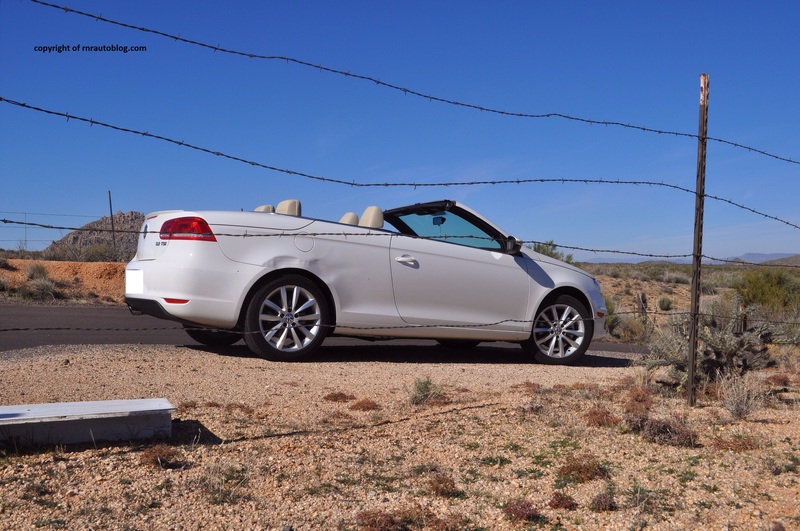 After all, the New Beetle convertible was just a pretty face that felt half baked. The thing is that this actually feels like a complete car. 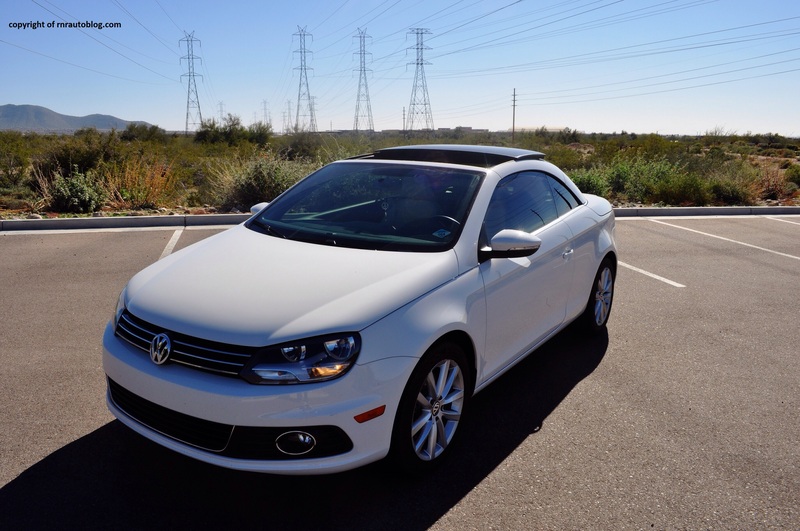 I can tell Volkswagen was thorough in developing this car because it shows in its abilities. The interior feels like it comes from a pricier car, and its driving experience rivals cars costing more. Yes, it was embarrassing to be seen in, but once you get over that due to its image as a chick car, you can really appreciate the Eos as a car. I do not generally like convertibles. I am more of a coupe man. 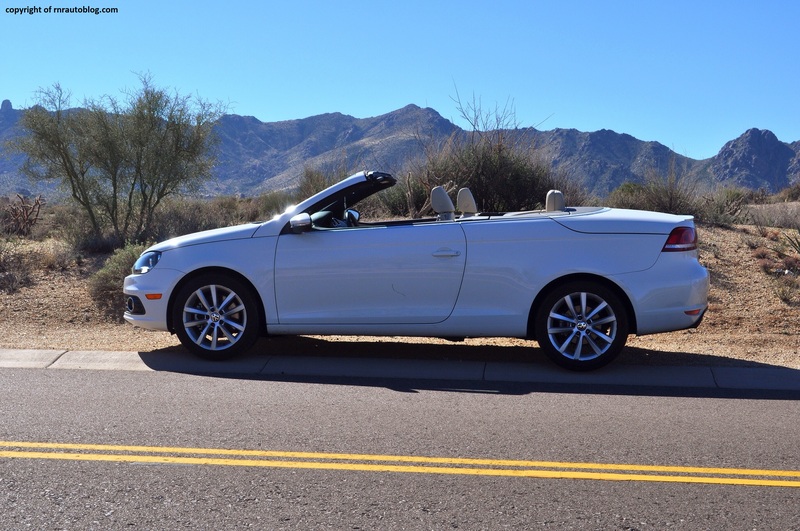 But there is something about driving with the top down in the mountains. The fact that the Eos is good looking does not hurt either. Who says beauty is only skin deep?